Encore Building Products should be your number one stop for expansion covers, plates and seals. Our hands on approach to solving difficult waterproofing and expansion joint problems, can help contractors, consultants and building owners limit the liabilities of failed joint seals and systems and protect you and your clients from future failures. The following are a brief list of the Waterproofing expansion seals we offer. 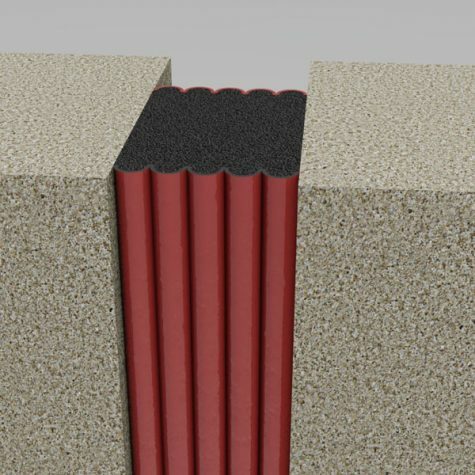 The industry standard for pre-compressed seals, pre-packaged and ready for immediate installation, the Wabo® SeismicWeatherSeal is a pre-compressed elastomeric coated expansion joint that works under its own constant internal pressure to provide a permanent weather tight seal eliminating costly water damage to occur. Wabo® SeismicWeatherSeal can be used on applications where simple thermal movements occur or on applications where seismic movement is anticipated. This product is also available uncoated. Wabo®HSeal is a pre-compressed traffic-grade silicone coated expansion joint system designed to provide a permanent weather tight seal. Primarily used in horizontal applications, the system is sealed in place with an epoxy, which allows it to accommodate horizontal, vertical, and skew expansion joint movements. 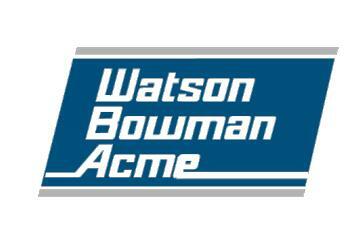 The system has been designed to meet the high performance needs of State and Federal DOT projects. Wabo®HSeal consists of a UV stable, micro-cell, polyurethane foam impregnated with a hydrophobic polymer and topped with a traffic-grade silicone coating. The impregnated foam provides a valuable secondary water tight seal in case the primary elastomeric coating is damaged. The system is supplied in pre-compressed sticks ready to be easily installed. Wabo®FireShield FSV is a second generation unified fire rated, sound, UV stable, thermal and waterproof sealant system. It features waterproof silicone faces on each side of a fire-retardant impregnated foam sealant without the need for additional set of intumescent bellows. This fire-retardant impregnated foam does not rely on the silicone face or an intumescent coating to provide its fire rating. Wabo®Evazote UV is preformed low density closed cell cross-linked ethylene vinyl acetate polyethylene copolymer nitrogen blown joint seal that is bonded into place with a two component 100% solids modified epoxy adhesive. Wabo®Evazote is capable of accommodating movements and watertightness given variations in joint widths through compression and tension. The seal has a working ranging of 60% compression, 30% tension and 120% shear. The UV stability of Wabo®Evazote allows the seal to be resistant to abrasion, oxidation, oils, salt and other materials that are spilled on or applied to the surface. Grooves are placed along its edges to ensure and enhance its bond strength. Wabo®UreFlex system, available in a series of factory molded polyurethane expansion joint seals sizes and lengths, is cast and cured under strict climactic controlled conditions. Factory molding provides for close tolerances and uniform consistency, while eliminating potential problems associated with job site fluid-applied seals. The expansion joint seals are available in six standard dimensions ranging from 3” to 12” in width. Seal edges of the expansion joint seal are molded with a chamfer and then mechanically abraded to ensure superior adhesion. The industry’s original elastomeric concrete system, Wabo® Crete Membrane is a high performance joint sealing system specifically designed to meet the unique demands of parking structures. The Wabo® Crete Membrane system combines a choice of versatile elastomeric glands with hole patterns in the flange areas providing secure mechanical attachment between the concrete substrate and Wabo® Crete II elastomeric header. The tough and durable header flexes with deck loads and seals out moisture. Installed by certified applicators, the Wabo® Crete Membrane systems are available with the strongest warranties in the industry. One of the most tried and true and cost effective “compression” seals for both vertical walls and horizontal applications, the Wabo®CompressionSeals have been perfected over their 30-year history of successful installations in parking structures, roadways, bridges/walkways, athletic facilities and general horizontal and vertical construction. These field-proven Santoprene® profiles are an ideal compression seal for high pedestrian traffic areas where color matching to adjacent areas is desirable. WE series seals are available in standard black, beige, gray. These seals are available in continuous lengths, which are cost effective and easy to install. RedLINE® is designed for use with all types of liquid (hot or cold) e.g. asphalt/coal tar pitch mopped systems.